Duskscape-Well.. she's a hybrid of sorts, mutated cat/monkey cross a distant relative to the Siamkey, whom you'll see farther along in my gallery. Duskscape (c) Me. Khayman (jaggy) and Shannon (ocelot) being all cutesie towards eachother I think... anyways, Khayman (c) Khayman Collins, Shannon (c) me. First major attempt in prisma color markers, testing different things and learning as well. 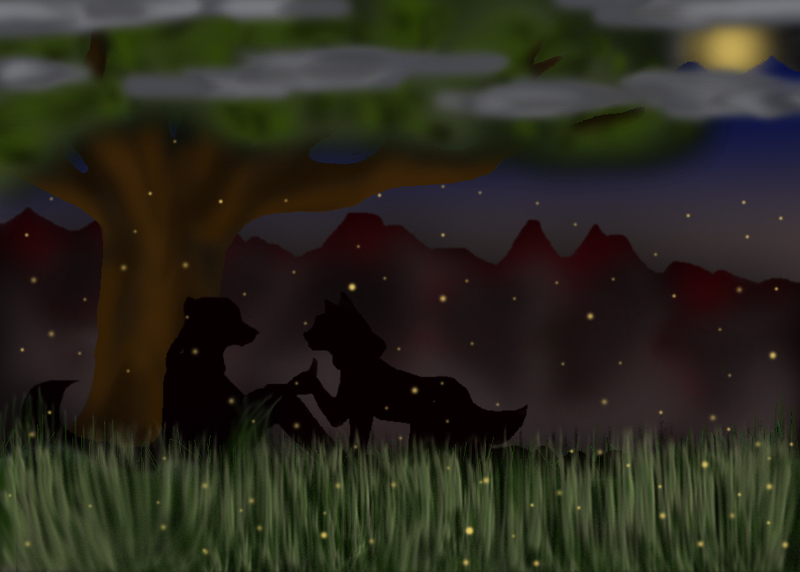 --Khayman (jaggy) and Shannon (ocelot) relaxing in eachothers company. Khayman (c) Khayman Collins, Shannon (c) Shannon Hall, myself.